Instagram has become one of the most powerful social media platforms with over 800 million monthly active users. 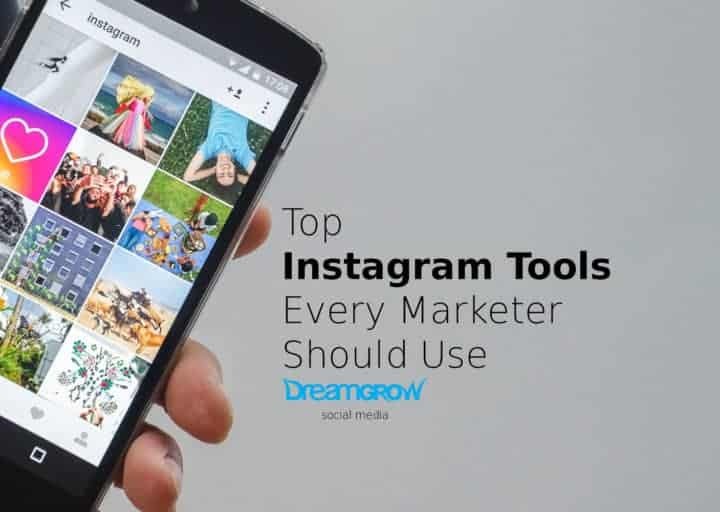 Thanks to its growing popularity, you can find many available Instagram tools to improve your marketing strategy on Instagram. We’ve listed our favorite Instagram tools to make a choice easier for you. Assess your current approach, analyze your audience and create engaging posts with the help of these tools. Also, make sure to use them properly to achieve optimal results. 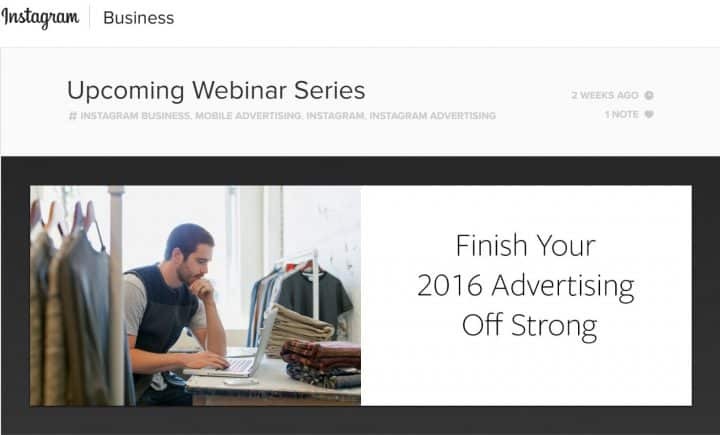 Find out how to use data to improve your results and create data driven Instagram campaigns. HootSuite is a platform for social media management that makes scheduling and publishing posts a piece of cake. You can use its Instagram options for scheduling your posts in advance, not having to worry about forgetting to publish them. Once you have prepared your posts, you can move on to dealing with other issues. When the publishing time comes, Hootsuite will send you a notification. Instagram, like any other social media, is overflowing with posts and ads. So, it is important to post content on a regular basis, and this tool will help you keep up with the schedule. Have a powerful Instagram account setup for your Business! Attract 10,000 real targeted followers to your Instagram account! Convert your new Instagram followers to long-term loyal paying customers who love your business! This must have course has a 4.4 rating out of 3,321 ratings with more than 23 thousand students enrolled. 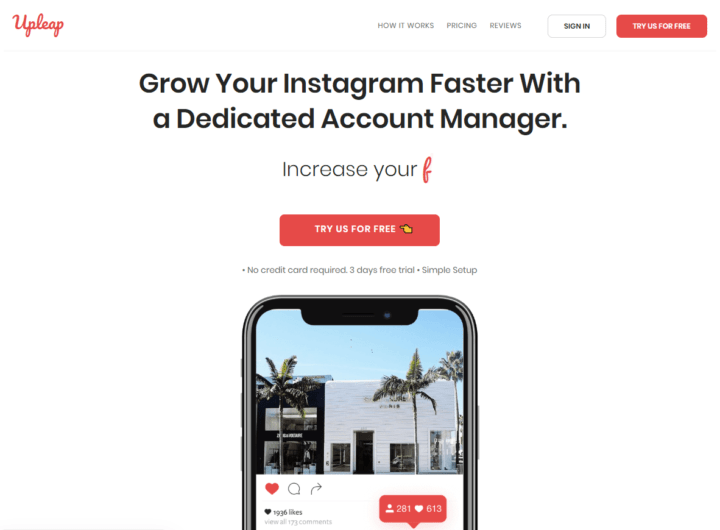 Instagram Feed WD is easy to use plugin! Instagram Feed WD allows you to bring user and hashtag-based Instagram feeds to your website with only a few clicks. You can display composite feeds of hashtags and users with custom styling and image metadata. Use beautiful layouts, such as Masonry, Thumbnail, Blog style and Browser. You can use plugin’s conditional fields functionality, to display filtered feeds. You can base that on the specific username, hashtag, mention, description, or Instagram media link. The plugin is SEO-friendly and fully customizable. Find out what to use Instagram vs Facebook: Which Can Help You Improve Your Business More? You can perform single and mass actions for following, unfollowing, liking, and commenting. You can leave multiple comments with different text for various accounts in batch. The application schedules action tasks automatically and by Instagram activity limits. All main functionality is free, 5 Instagram accounts management, increased daily action limits, auto-updating of search results and other features are available for advanced users. There is a free plan. A free plan provides you with 30 posts per month, one social profile, and one user. Later has a tool called Linkin.bio that makes it easy to shop your Instagram feed. Linkin.bio is a landing page that resembles your Instagram feed and displays your posts as clickable images. You can manage access to your photos, videos, and Instagram accounts within Later and have multiple media libraries, so you don’t have to share your photos and videos with all your Instagram accounts and team members. You can manage multiple Instagram accounts in Business plans. In teams you can have managers approving content, team members publishing posts or contributors submitting media. 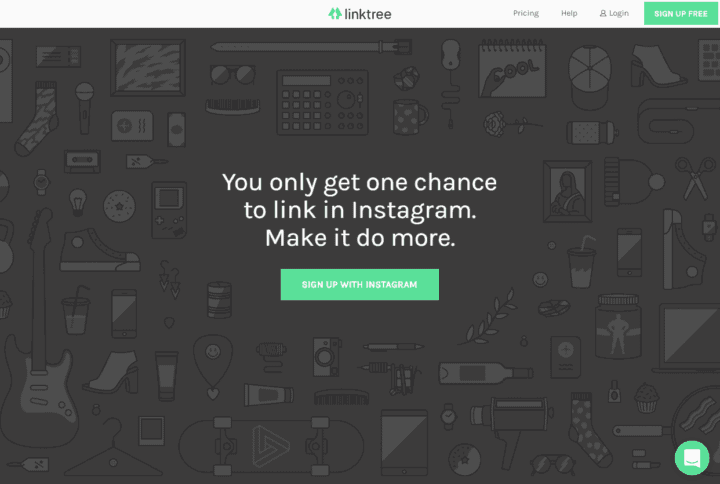 Linktree is a free tool for optimizing your Instagram traffic, whether you’re a blogger, an artist or run a content platform. In Instagram you have one link in bio to house all the content you’re driving followers to. Manage how that link works with this free Instagram tool. One bio link will help your followers discover all of your recent content. Send your followers to multiple destinations: articles, web-store, events, socials and more. Paste in new links and drag and drop the links to reorder. Wondering how to get started? What to pin? When to pin? How to get people to "follow" you so your business gets noticed? You need more traffic and sales — not another way to waste time on social media, right? You want someone to break it all down for you - to simplify and take you step-by-step, and ultimately.... to help you get more customers online! Boomerang is a great tool for creating videos that will appeal to the audience. Having a well-developed strategy entails engaging with your audience the best way you can. You need to speak their language. And according to Liquid Creativity, Boomerang videos have become a crucial part of the Instagram language. 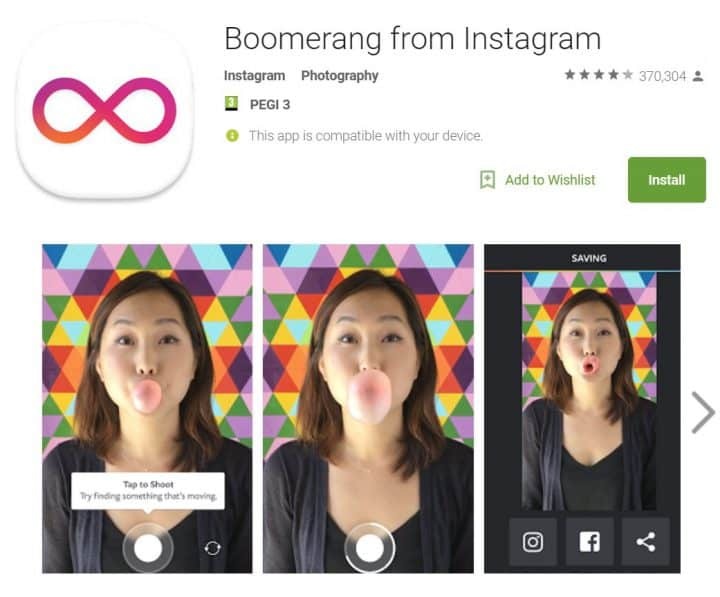 You can use Boomerang for filming one-second long videos. And the best thing about it is that you won’t need much preparation since videos don’t have audio. Therefore, you don’t have to work on dialogues. Capture a perfect moment behind the scenes, or make an interesting video about your product. You know that even a second can make a difference! People can use Instagram to buy products and services. 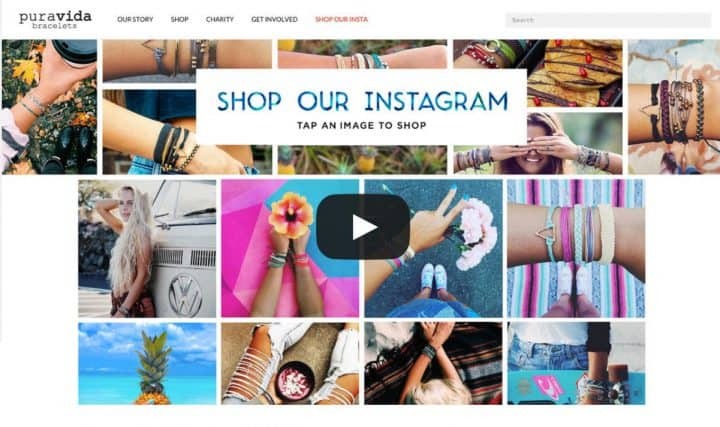 Foursixty enables you to sell your products on Instagram by linking them to their product page. Also, your customers will have an opportunity to add items to their carts, instead of having to browse the Internet for the website. Some companies that successfully use Foursixty for sales are ban.do or Pura Vida Bracelets. Follow their lead and post photos of satisfied customers using your products. That signals to other users that you’re reliable and creates an incentive to get the product for themselves. Everyone needs a little push every once in a while. All you need to do is link your images to the product pages, which is exactly what Foursixty helps you do. Instagram has recently announced the launch of their Business Blog. It will be used as a business resource to contribute to the success of other companies. You can visit the blog to get all the information necessary to make the most out of everything Instagram offers. Keep up with the news from the Instagram world and learn how to use the available tools effectively. Also, find out what other business accounts are up to. Instagram marketing statistics shows that 48.8% of brands have an Instagram account, including 90% of the top 100 brands. That indicates that the competition on Instagram is fierce and you have to use every tool to get to the top. After all, who knows Instagram better than Instagram? Repost is an essential tool for sharing user-generated content. By doing so, you will show your customers that you appreciate them and their opinion. Repost is easy to use, all you need to do is click and share the content you like while acknowledging the person who created it. Repost features enable you to bookmark photos or videos you want to repost. You can also find photographs you like by typing in a hashtag or a user’s name and repost by tapping a single button. This tool will contribute to strengthening the business relationship between your clients and you. Instagram uses Facebook Power Editor for generating sponsored posts. By using this tool, you can easily target factors, such as age, gender, location, habits, or interests of your users, which will help you create ads that will meet the needs of your customers. You don’t have to invest much in running the ads, even $1 would suffice. But if you’re ready to invest more, your ads will, of course, have a larger reach and bigger exposure. Social Insight is an Instagram tool that runs a thorough analysis of your account. You can follow your account growth, interactions, and engagement. The main features allow you to estimate the best time for posting content and gain data on the followers (gained and lost ones). You can also see the information on the average engagement. Furthermore, if you own more than one business account, Social Insight lets you connect them and compare their analytics. Social Insight is one of the most promising Instagram tools used by businesses owners. Crowdfire helps to manage your following, which makes it another useful tool on the list. Use is to keep your following in order. The tool identifies people who don’t follow you, or who aren’t active and gives you with the option to unfollow them. Crowdfire also enables you to quickly start following users who might be interested in your service or product. It generates the suggestions about who you can follow by relying on your following patterns. Also, you can use this Instagram tool for monitoring the effects of your updates on the users. Since Instagram is all about photos, make sure to incorporate VSCO into your marketing strategy. It’s a top-notch tool for taking and editing photos. This photo-editing platform will help you tackle the visual side of your marketing approach. You can use a variety of filters to customize your photos and appeal to the audience. You can take pictures of your products, or capture beautiful scenery that can be a great theme for your following campaign. The statistics show that the average number of photos shared on Instagram on a daily basis is 80 million. For yours to get the audience’s attention, they need to be more than just pleasing to the eye. Find a theme that will be constant in the photos that promote your products and use VSCO to make it perfect. SocialRank provides you with the insight into the follower demographics. It does that by managing, identifying and organizing your followers. Once the tool has gathered the followers’ profiles, you can filter and categorize them according to a variety of criteria. Afterward, you can export the lists of followers and use them for further assessment. SocialRank This is a great tool for collecting data about your customers’ age, gender and location. But you can also identify other relevant factors to find out what the audience wants and adjust your strategies. Knowing your audience is a prerequisite for conducting a successful business. SocialRank can be an excellent tool for getting to know them. 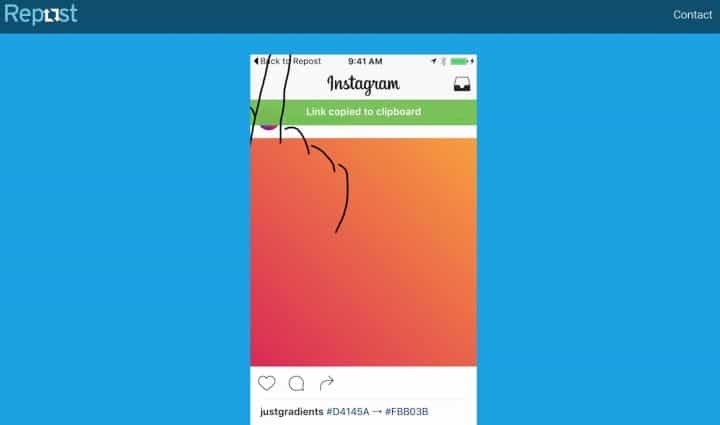 Instagram captions & photos are not linkable. Your only link is in your profile. Soldsie uses this link to showcase your content and make your photos link to the content your fans are trying to find. Post a product to Instagram, your customers comment Sold on the photo and will be emailed a mobile friendly invoice to check out. Use Soldsie and those “I want that” pleas will quickly change to “Sold”s! Video resizer: Resize your videos for Instagram (1:1) and Instagram stories (16:9) without reducing video quality. Video meme maker: Add text above and below your video to make it stand out in the Instagram grid. 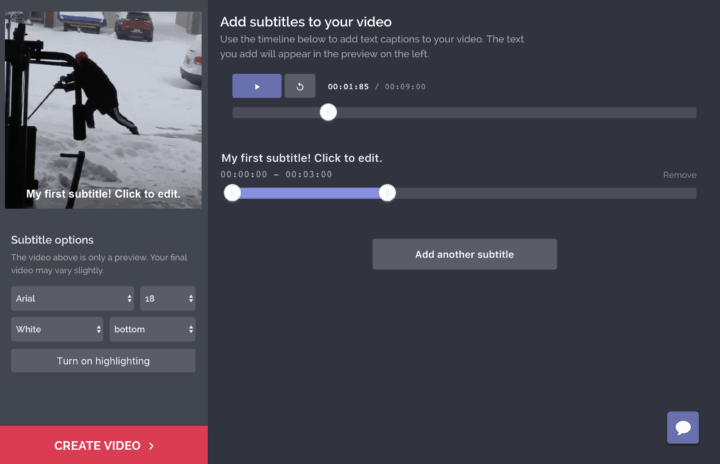 Kapwing is a set of tools for people who want to make a video but don’t have any experience with professional video editing software. You can access it from your desktop or smartphone, and you don’t need to download any software. You can download your videos to publish on Instagram or other social media platforms. Kapwing tools are free to use with a small fee to remove the “Kapwing” watermark. Decide what type of followers you’d like, and then sit back, relax – and watch us get you more Instagram followers! Upleap picks up engaged followers, gains social influence, and lets you save a ton of time. Your account picks up real followers that like and engage with your content. We help you grow with Instagram pods, getting you more natural engagement over time. Get hashtags ideas with TopTager.com. 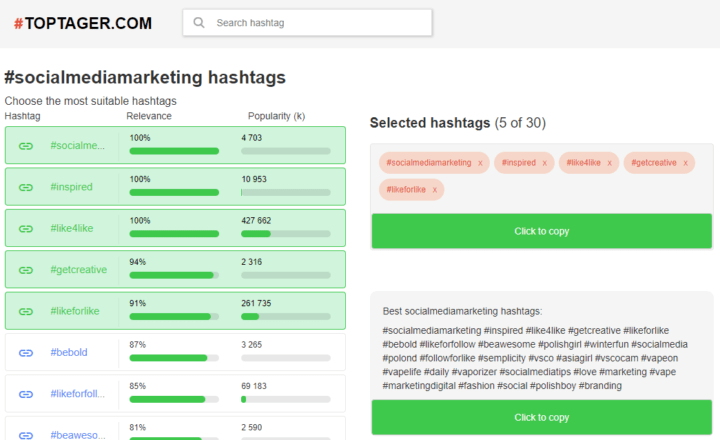 Find top most popular Instagram hashtags for your keywords. Trending searches, most popular hashtags, hashtag popularity. With the right Instagram tools and proper use, Instagram has the potential of becoming one of the most powerful business platforms. It offers a wide variety of different tools, and you shouldn’t hesitate to use them. Find the ones that meet your needs, and start improving your social media business strategy. BIO: Emma Miller is a Sydney based writer with a degree in marketing. Interested in digital marketing, social media, start-ups and latest trends. She’s a contributor at Bizzmark blog. I work with https://picalytics.com/ and I’ve studied your blog. Great style, valuable info, well done. Picalytics is a deep analysis service of ANY Instagram account. Literally any public account. You, your wife/husband, or your competitor. We’ve been thoroughly working on the tool for 2+ years coping with all these Instagram API games. And we survived while most services have become a thing of a past. “Top 15 Instagram Tools Every Marketer Should Use”, this is one exciting topic regarding which tools to use in order to gain numerous of Instagram Followers as well. So in your article, you have mentioned, 15 tools. Are these the tools you have used before? Or have you experienced using some of these tools? And which is the best one to use among the 15? Indeed, there are much more to learn in using Instagram tools to meet your needs and to the other audiences. By the way, I am Misty Charlotte, a Content Marketing Expert. Continue creating very informative articles. Thank you for this great article Emma! These tools you’ve mentioned indeed are very helpful! Awesome list! I’d love to see https://upleap.com added to your picks – they basically do all the growth for you. Maybe it’s something your readership would want to consider. It might be possible that while using Instagram or any other app you face any problem, in that case, you can take help from Snapchat Customer Support as they provide help for all the issues. Hello! why did not you add this service https://toptager.com/ to your review?I think it is very useful. Thank you this is a very useful list. Your article was very interesting! To give you an idea of what Mosaic can do, my Instagram account is annamosaic. I would love to get your feedback on our app! I was also wondering if you would agree to write an article about it or maybe consider adding it to your Top. Great list! I also recommend Phlanx’s Collaboration Portal – you can find a lot of opportunities listed by business owner – small and big brands. Bloggers are also posting on that site to find collaborations. Have a look and see if it helps. Cheers! Great Article! From the boom in popularity of Instagram Stories, to the recent expansion of advertising opportunities—it’s a good time to be using Instagram for business. I have use a tool called AeroLeads and it’s really helped a lot for my business growth. It is always good to see a list of competitors. Why not throw in SocialGimp.com next time? It is a full suite INSTAGRAM analytics suite which is completely free to use (unlike most other tools).